(Inside Science) -- From a pinch of soil, an innovative technique has uncovered a type of antibiotics that have a unique molecular structure, what researchers call a new class of antibiotics. In laboratory experiments, the antibiotics, called malacidins, killed several multidrug-resistant bacteria, including Methicillin-resistant Staphylococcus aureus (MRSA) skin infections on mice. Finding new drugs to treat life-threatening antibiotic-resistant bacteria is critical to human health. The World Health Organization calls development of such drugs a high priority and in 2015, the Obama administration released an action plan to combat antibiotic-resistant bacteria. But developing new antibiotics is a challenge. The most effective drugs so far have come from organisms in the environment that produce antibiotics naturally to defend against bacteria. For instance, penicillin was discovered from a fungus and vancomycin was found in bacteria that lives in dirt. Most of the organisms that have the potential to produce new, lifesaving antibiotics cannot be grown, or cultured, in a lab, however. If they can’t be cultured, researchers can’t easily access the antibiotic molecules. The method sidesteps the issue of having to grow new strains of bacteria in the lab. Instead it combines genetic sequencing, DNA cloning and computational analysis to locate the appropriate genes in the environment. Once sequenced, the genes are then put into commonly known bacteria that easily grow in the lab, which use the genetic instructions to produce new antibiotics. The malacidins, discovered by Sean Brady, who runs a molecular genetics laboratory at Rockefeller University in New York, and his colleagues, are part of a family of antibiotics that kill other bacteria by destroying their cells walls, but only when calcium is present. Initial tests showed that malacidins were not toxic to human cells and that they did not induce resistance in S. aureus, even after 20 days. For comparison, bacteria in the lab have developed antibiotic resistance to the drug rifamycin in one day. Research on malacidins has just begun and bringing them to pharmacies will require years of additional studies and clinical trials. However, their existence hints at the multitudes of similar therapeutic molecules in the environment just waiting to be discovered. The ability to tap into the world’s microbiome in a systematic way could lead to the discovery of new natural products, which historically have been the most productive source of antibiotics so far, said Brady. Finding the molecules is a challenge, though. Every gram of soil contains perhaps 10,000 bacteria, most of which cannot be grown under laboratory conditions. To find the right genetic material, Brady and his colleagues relied on techniques from the field of metagenomics, where scientists sequence DNA directly from water or soil, frequently without knowing what the discovered genetic material does and sometimes what organism it came from. The DNA is copied and added to large, searchable databases that contain tens of millions of sequences. Zeroing in on the right genetic sequences started with a hunch. Brady and his team had become interested in a type of antibiotic that requires calcium to be active. Daptomycin, which was developed in the 1980s is one such example, but has been understudied, said Brady. He and his team thought there might be other related bacteria in soils that also made calcium-dependent antibiotics. The researchers began the search with some 2,000 unique samples of soil collected from around the United States. They sequenced the DNA of each sample and added them to their database. Similar to how a reader might go to the mystery section in a library to scan for Agatha Christie novels, the researchers then narrowed their search by looking for a specific set of genes that all bacteria commonly use to make a wide range of molecules. From these they searched for the genetic signatures that resembled those responsible for making calcium-dependent molecules. They were astounded by how common the genes were. One out of every 25 soils had genes that might make a calcium-dependent molecule, yet most of them had never been characterized in previous research. 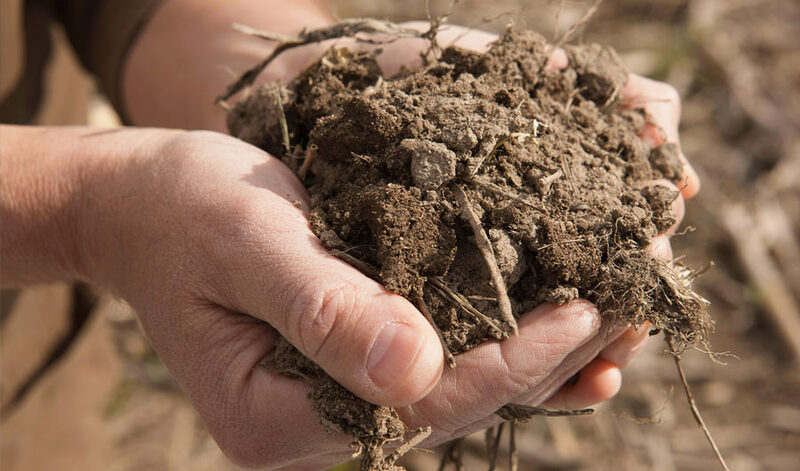 A specific group of genes was found in one out of every 10 soils. They pulled one of those soils from their collection, extracted the DNA, cloned the group of genes and then injected them into bacteria that could grow in a lab. The bacteria began using the genes to produce the malacidins. Showing that it works topically in a skin infection is also a good step forward. Whether it will work safely inside the body in the form of an injection or a pill remains to be seen. “That may require some additional tinkering with the molecule,” said Kim. Brady said he doesn’t want people to think that this antibiotic is ready for the clinic. In addition to the need for additional tests and trials, it’s also possible that along the way, they’ll find other molecules that work better. “We believe that this is just the tip of the iceberg of antibiotics that exist out in the environment that we haven’t discovered yet,” he said. Brady's team published their findings last week in the journal Nature Microbiology.